Forty-four of the 310 members of Angela Merkel's Bundestag parliamentary group signed a protest letter on 19 January asking the chancellor to change course on her refugee policy. "There have been passionate, controversial, yet factual debates within the Union on the issue of refugees," Wolfgang Bosbach, one of the signatories of the letter, told press in Berlin on Monday (25 January). "We are torn between our sympathy and respect for Angela Merkel and our doubts whether Europe will find the right way to solve our problems," said Bosbach, an MP in Merkel's Christian Democratic Union (CDU), which is part of the parliamentary group that also includes its Bavarian sister party, the Christian Social Union (CSU). Austria and Sweden have reintroduced border controls to stop the influx of migrants and refugees. Germany accepted over 40 percent of the migrants and refugees arriving in the EU in the first quarter of 2015, according to Eurostat. 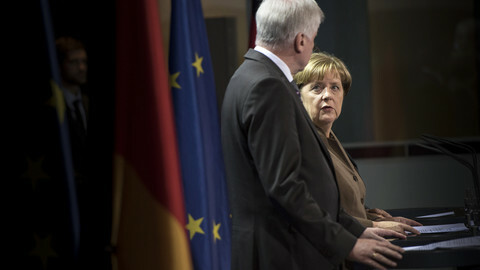 Many in Merkel's conservative party and the Social Democratic Party (SPD), the other coalition partner, consider that she has been too liberal on this issue. 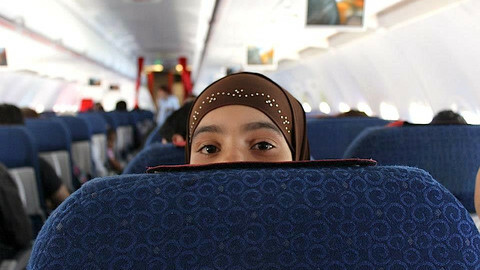 Concerns from CDU/CSU MPs have grown as they have seen that neither the so-called hotspots nor the plan to distribute 160,000 refugees across the EU have been implemented. "If refugees were somewhat equitably distributed in the European Union, then there is no doubt that reception and integration of 2 - 3 million people would be possible," said Wolfgang Bosbach, an eager critic of the chancellor. But he and other Merkel critics expressed their fear in the letter that this would not change in the foreseeable future. It is not the first letter addressed to Merkel by different groups protesting her open doors policy. 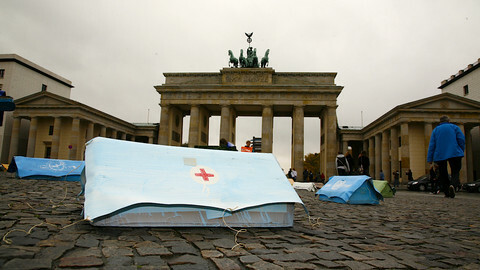 The German chancellor has been under intense pressure from both local officials and federal politicians. Most of her critics expect her to give in to a migrant cap. Bosbach, who is managing to achieve currently more popularity amongst Germans than the chancellor herself, expects a so-called 'Kurskorrektur', or change of course, in her policy. 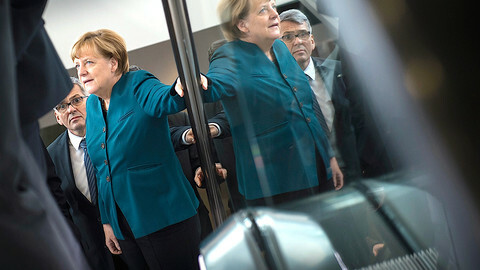 Merkel is very much aware of the current sentiments, but "she acts on conviction", Bosbach said. "The chancellor thinks that history assigned us this task and we should not surrender." In addition, she was hoping to gather allies for her policy in Europe, which is backed by European Commission president Juncker and Parliament president Martin Schulz. Some small changes have already been made to the refugee policy, including extending the list of 'safe countries of origin' and offering asylum seekers food and clothes at reception facilities rather than cash benefits. After the assaults in Cologne on New Year's Eve, measures to facilitate the deportation of delinquent migrants are being discussed. Bosbach and like-minded MPs in the CDU meticulously avoid using the phrase migrant cap, but ultimately this is what they expect. "A cap of 200,000 asylum seekers a year is something I consider plausible," he said. Neither the joint letter nor Bosbach have formulated tangible alternatives to Merkel's open doors policy. 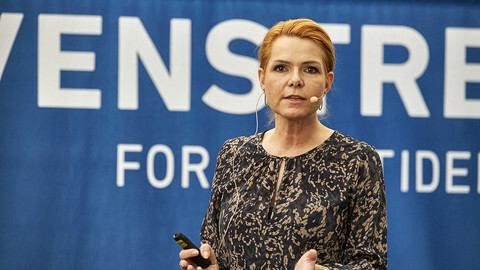 The latest proposal, drafted by the CDU MP and prime minister candidate in the upcoming Rhineland-Palatinate state elections Julia Klöckner, is meant to lead to a compromise within the CDU/CSU parliamentary group. However, it simply renames options both Merkel and the social democrats have already rejected. Transit zones facilitating on-the-spot decisions over entering Germany are now referred to as border centres in the new proposal and the migrant cap is re-formulated into flexible daily quotas. Most of the conservative Merkel critics would be content with this plan, but the SPD coalition partner does not consider any of this an option. "Transit zones are only practicable on a 3,757 kilometre, green border if the German borders are completely closed", said the MP Burkhard Lischka. Even though Bosbach stressed that "there is no revolution or rebellion within the CDU/CSU against Merkel," he recalled that there had not been a vote yet in the German parliament on the issue of refugees. Other MPs, too, would be in favour of a Bundestag vote on the refugee policy, even if a majority are expected to support Merkel on the issue, regardless of their political affiliation. If Germany closed its borders and rejected masses of asylum seekers, this would cause a tailback in neighbouring countries – and might put pressure on them to accept the migrant quotas and thus have a controlled influx of people. But the migrant cap seems to be a more complicated issue for Germany perhaps than other European countries. A recent ruling of the EU Court of Justice and a statement by the president of the federal Constitutional Court have asserted that a cap is not compatible with the individual right of asylum. International and German constitutional law state that individuals have the right to apply for asylum, subject to certain conditions. Therefore, it may prove difficult for German lawmakers to find a legal framework in which the first person over a cap can have their asylum application refused. 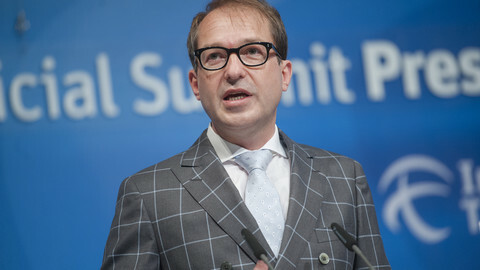 German transport minister Alexander Dobrindt has said Germany should be ready to close its borders to migrants, in a direct challenge to chancellor Merkel. 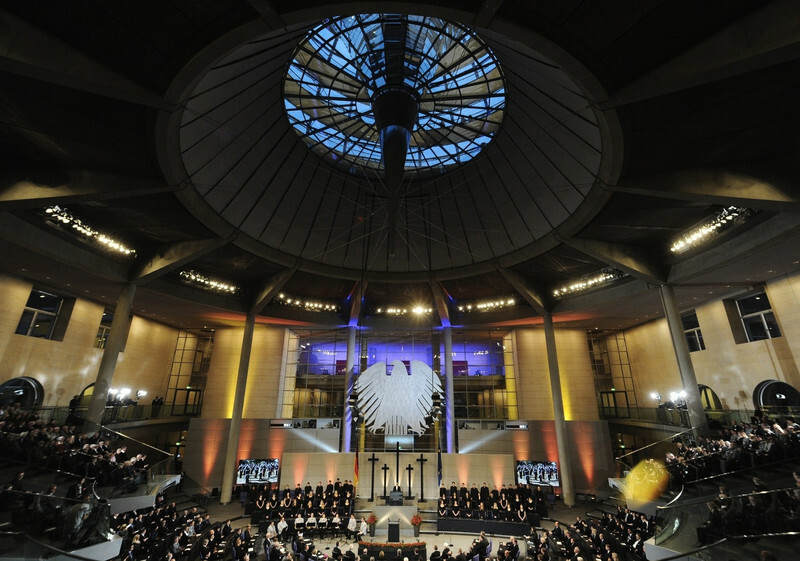 In her New Year address, the chancellor urged Germans to welcome migrants and warned of division in society. Greek officials reject mounting EU criticism of their leaky borders as a "blame game ... punishment," amid calls to expel Greece from the passport-free Schengen area. MEPs in a debate with Denmark's foreign minister and minister for migration remain largely unconvinced by a new Danish bill to seize assets from refugees. 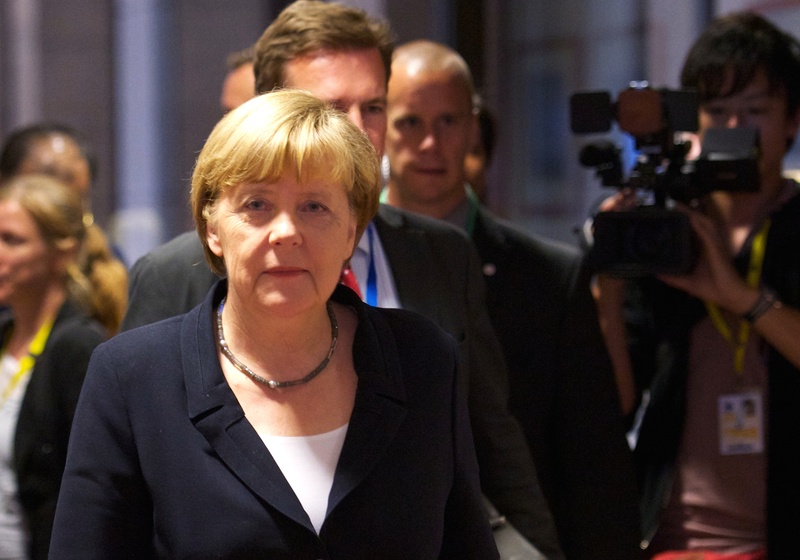 German chancellor faces increasing pressure from coalition allies to cap the number of migrants.